In digital since dial-up, Rob Marston works at the bleeding edge of digital and mobile marketing and has built his reputation on an unwavering passion for nascent industries. With two decades of expertise under his belt, in 2012 he founded specialist mobile agency, Zeus Unwired, which works with clients including Yahoo, EA, Woolworths, Adobe and Jack Daniels on mobilising advertising and harnessing brand potential using continually-evolving digital technology. Today, he's the head of Airwave A/NZ. 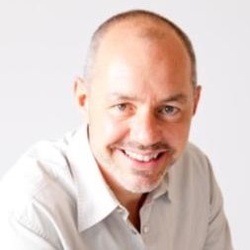 Rob also lectures at The University of Sydney, UTS and RMIT, and is a regular speaker on the potential of mobile. Research from Nielsen late last year reported Australian smartphone users over the age of 18 spend 33 hours per month in apps, and a mere four hours per month in browsers. Combine this with the fact that more than 3 million apps sit in the combined iTunes and Android app stores, and it is irrefutable that apps dominate the mobile ecosystem. But what does it take to actually maintain an app customers will engage with? And does yours actually provide enough personalisation to cut the mustard? Users will try an app 4.5 times before deciding to stop using it due to ‘boredom and a lack of perceived value’, according to mobile engagement platform, Localytics. The same report found that in order to maintain engagement, apps needed to provide more functionality and better personalisation based on behavioural signals from other channels, such as Web, in-store and in-app data. It’s true that as apps continue their march up Gartner’s Hype Cycle ‘slope of enlightenment’, marketers can’t ignore their importance in the customer engagement mix. But in order to improve the user experience, it is vital to make that app experience a tailored one. And that requires a clear understanding of what users are doing in your app, along with comprehensive and robust in-app tracking. All too frequently, apps are launched with limited tracking, making optimisation decisions without a thorough understanding of user behaviour a stab in the dark (at best). Most apps also don’t offer any personalisation, providing the same experience to all users. Yet app developers, with the aforementioned tracking implemented, can access an abundance of data that could tailor that experience, including location, device, time of day, session length and content. If the app requires a login, then associated profile data can augment this further. Imagine an app experience tailored just for you. The content you are shown is based on your historical usage patterns, what you have been reading/searching, where you have been or even what your friends read. Similarly, the navigation, menus and options could change based on where you are in the purchase cycle and there could be a simple button to tap to make a payment. With all this available information, I would suggest it is commercial suicide to not personalise. Another recent and underutilised development in the app world is the advent in both iOS and Android of ‘deep linking’. Rather than taking a user to the app home screen - or even worse, to the app store to download it - they can be taken directly to a specific location within an app. Deep linking in the desktop world is nothing new and putting the user closer to the content they are looking for has consistently proven to provide a better user experience and subsequently more engagement. And that means sales. The bastion of indexed content, Google, now ranks in-app content in its search results. If you have the app installed it takes you straight to the relevant section, but, assuming the architecture of your app allows it, and through something called ‘deferred deep linking’, a user can be taken straight to the content, even without the user having the app installed. With the advent of indexed in-app content and specific content pages, the dream of contextual targeting via mobile can finally be realised. By taking in-app usage behaviour and using this as a basis for targeting your advertising, marketers can also show ads against more relevant content to drive better relevancy, higher tap-through rates and ultimately, better conversion. In addition, in-app activity can be collected and fed into a CRM system, taking a user via eDM into the relevant app location. For example, if you knew that a user had been in your travel app and looking at family holidays, then in the eDM you could feature family holidays more prominently and take them directly into this content in the app. In summary, the fundamentals of user experience across Web and mobile are almost identical. A ‘user’ prefers to be treated like a ‘person’ and this involves creating an experience that demonstrates to them that you’ve applied thought to the equation. With the right consideration for collecting data and the application of rules around what content is shown to who and when via apps, marketers can get closer to their audience on their most personal device.